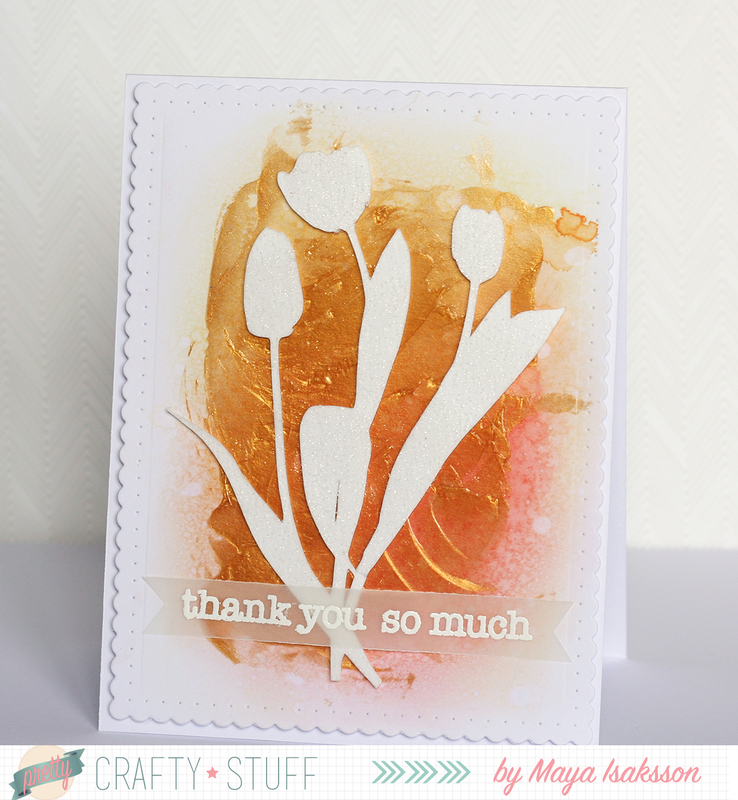 I used the tulips from the Flower Silhouettes file to make this card. I covered them in WOW! Coconut Ice glitter embossing powder. It's sooooo pretty! It's a clear matte base with white glitter in it. It's one of my favourites since it is glittery but not too much. 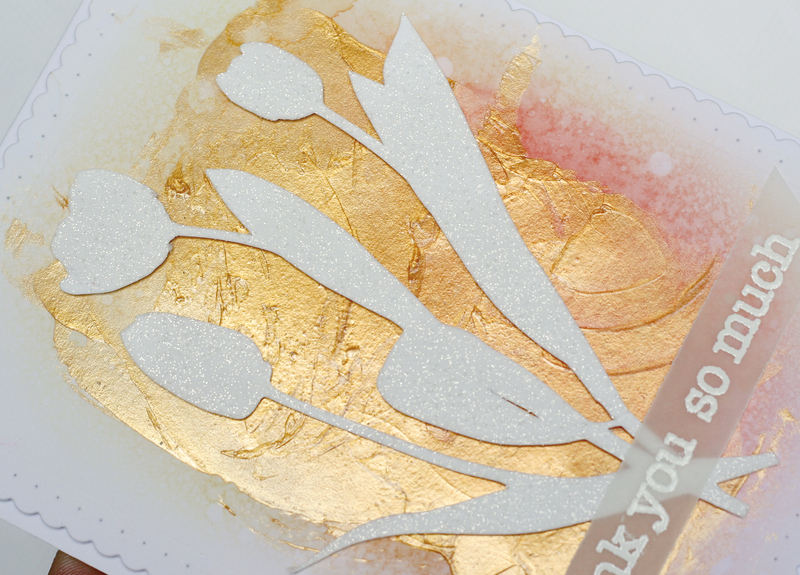 I also covered the background with golden embossing paste. Just smeared it on top of some ink blending that peeks out on the sides. Look at all the glitter and shine. The sentiment are from one of the new sets that WOW! just released, it's called Pick n' Mix. I'll be back with a video and a post on them later this month. I'll be back tomorrow with some cute ghosts from Lawn Fawn, I hope you'll be back then :) Take care now!